START YOUR SPORTBIKE PASSION HERE. 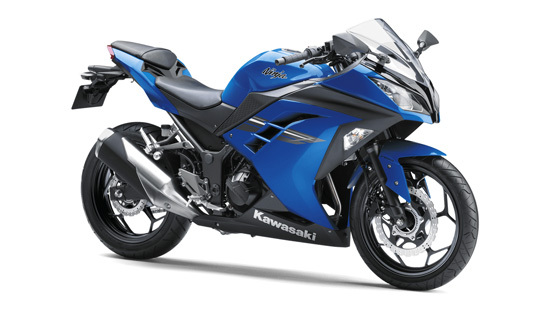 INSPIRED BY NINJA SUPERSPORT HERITAGE, THE LIGHTWEIGHT NINJA 300 IS A THRILLING AND AGILE RIDE POWERED BY A COMPACT BUT POTENT ENGINE. NIMBLE HANDLING AND BALANCED SUSPENSION OFFER A SILKY-SMOOTH RIDE, IRRESISTIBLE TO EXPERIENCED TRACK RIDERS AS WELL AS NOVICE ROAD RIDERS LOOKING TO SHARPEN THEIR SKILLS.